Melt stick of butter over the stove in a large pot. Add 1 cup of Chocolate Chips to butter. Melt chocolate chips. Ad 1/2 tub of Jimmy's Caramel dip to the butter-chocolate mixture. Stir until combined. 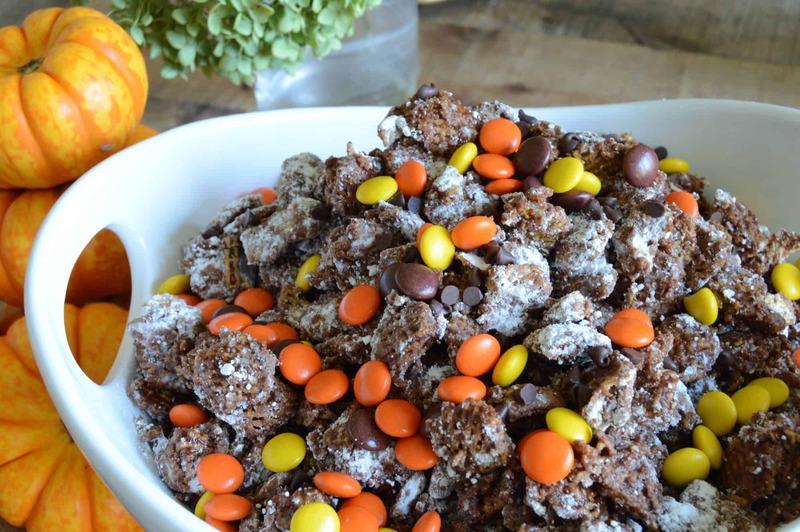 Combine the entire box of chex cereal with butter-chocoloate-caramel mixture. Stir in powdered sugar under rice cereal is covered to your liking.